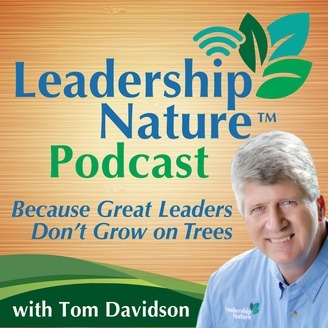 The Leadership Nature Podcast features one-on-one interviews with diverse leaders from across the forestry and natural resources nation, and it is intended to spread the seeds of leadership insights, lessons learned and personal advice from experienced leaders to current and future generations of natural resource leaders. 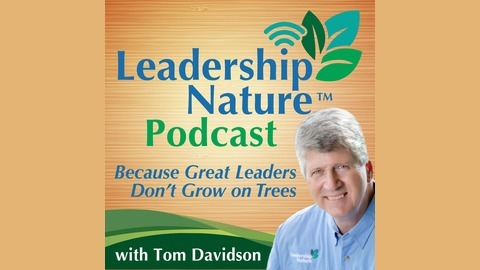 Each episode also includes a leadership tip of the week from the interviewer. Danielle Atkins is a Forester and Wildlife Professional who currently works for Mcintosh Seed. In her role, she works on the SFLR program for the U.S. Endowment for Forestry and Communities where she educates and directly helps landowners with their needs. Danielle also has a blog, Life + Land, where she focuses on women’s outreach and land management topics. Find out more about Danielle and the important work she does on today’s episode! [2:20] A quick intro about Danielle’s background. [4:10] How did Danielle get involved in forestry? [7:55] How did the grant at Mcintosh Seed get started? [12:15] How does Danielle find landowners to help? [15:50] Danielle shares her process and how she helps landowners. [20:45] What kinds of challenges do landowners face when it comes to taking the next step with a forester and/or consultant? [27:00] Danielle is in the process of documenting a model so that other landowners can use it as a template for their best practices. [28:00] Danielle shares a couple of stories and case studies of landowners who have benefited from her service. [34:50] Danielle stresses the importance of gender diversity in the forestry field. [40:40] What should landowners look for when they realize they need some land management help? [42:45] How can forestry professionals get involved? [46:00] What is Danielle most proud of so far?